Sunless Memberships start at Only ​ $19.95 a month! Bella Bronze is now primarily a mobile spray tanning service. We have a small, primary studio set-up in Greer, and will also be partnering with other salons and local businesses to offer "pop up parties" and other promotional events. The location and details of these parties/events will be posted weekly and open to the public. All services available (including spray tans, lash extensions and teeth whitening) will be listed per party, and will require appointments or reservations to hold your spot. 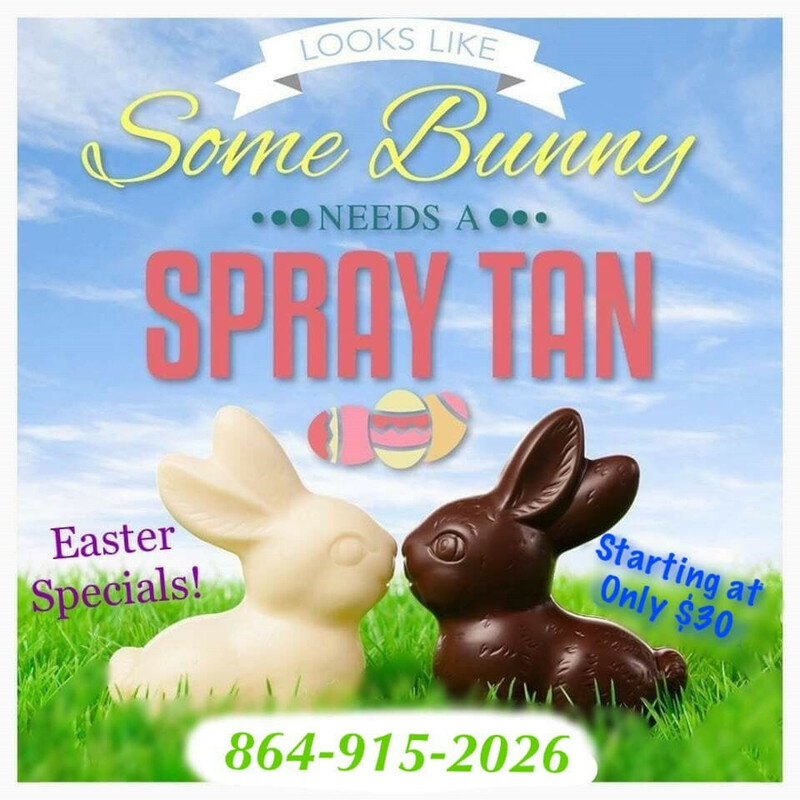 Host a mobile spray tan party of five or more participating guests, and your tan is FREE!